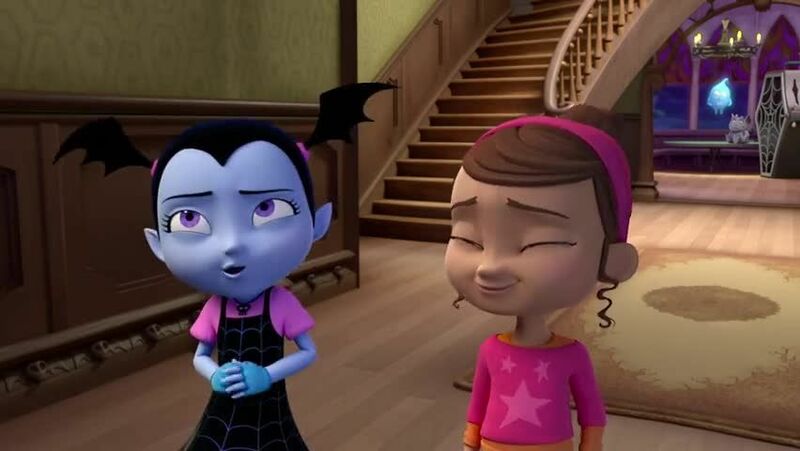 Watch full Vampirina Episode 9 online full HD online. Cartoon video Vampirina Episode 9 online for free in HD. Vee and Poppy switch species. Song: “Look What I Can Do Now” sung by Vee and Poppy / A class parrot named Kiwi threatens to reveal Vee’s secret when it stays in the Scare B&B. 5 / 5 - 5 ratings. Vampirina Season 2 Episode 1 – Vampire for President / Where’s Wolfie?